The iconic Tower of London, with almost a thousand years of history, provided the perfect historical backdrop for the stunt. 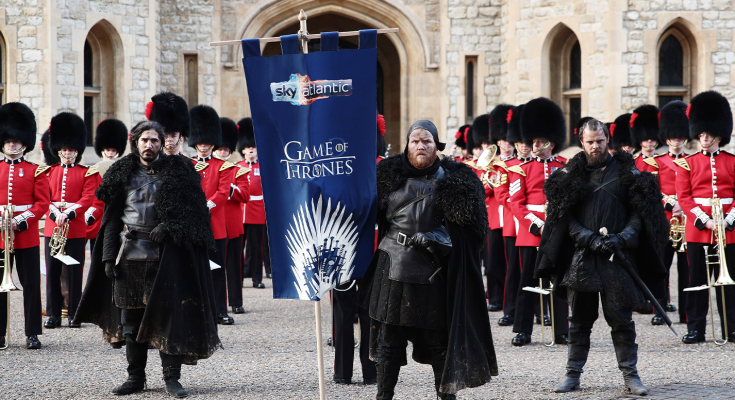 Dressed in their traditional scarlet tunics and black fur busbys, the Army joined forces with the Night’s Watch in a unique partnership to bring the magic of Game of Thrones to life. Twelve actors were transformed into the Night’s Watch for the spectacle, by an expert team of stylists and make-up artists. Each actor wore a custom-made costume that took ten weeks to create.